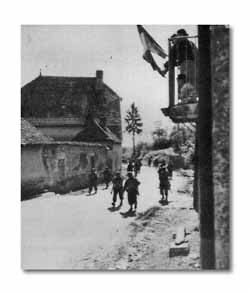 The Wehrmacht hurried to get back into Germany through the Belfort Gap. To keep the pace our-motorized advances netted 25 to 40 miles each day. Convoys, sometimes 13 miles long, raced along often a whole day without making contact. Leading columns lanced out deep to the front, using back-roads and trails off the main highways to avoid enemy blocking devices and mines. Spearheads moved boldly, yet with a certain caution, knowing that hostile forces might be waiting at any turn, or stalking in ambush. As each mile was gained, it added further burden upon supply, still being serviced hundreds of miles from the beaches by day-and-night shuttle transport. 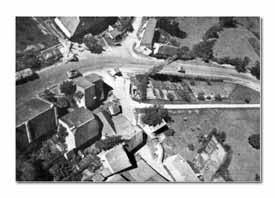 Our snaking columns lined up: reconnaissance elements probing ahead; infantry riding tanks and tank destroyers, alert to deploy at the sign of trouble; more infantry riding 2 ½-ton trucks; artillery trucks and weapons following, overloaded with infantry again. The Division had only 60 per cent of its organic vehicles; with all vehicles present an Infantry Division has an insufficient number to carry all of its men. But by overloading every vehicle the Division motorized itself. Thus an entire combat team moved quickly, yet was organized and able to meet any serious opposition. 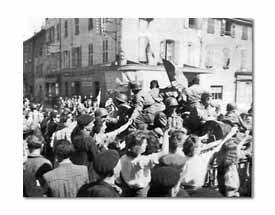 In Bourg, above Lyons, it was the same story -- a wildly enthusiastic crowd greeting their liberators. 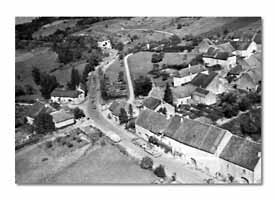 Still chasing a retreating enemy, long columns continued to press toward the north, passing through the tranquil dairying villages above Lyons. Grimy-faced GI's brought their jeeps to a halt to partake of the rich cheeses, creams, butter and eggs offered by thankful French people along the way.